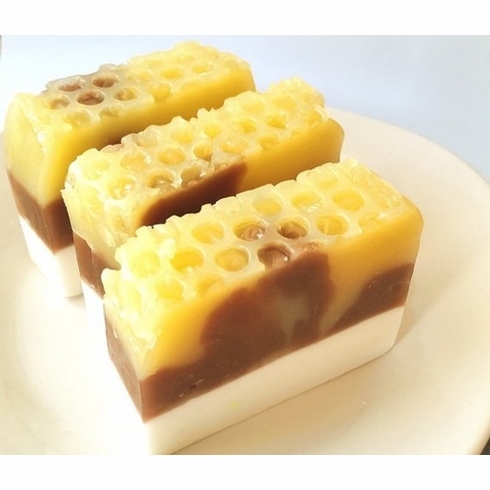 Made with pure honey and beeswax, this handmade soap is perfect for the upcoming winter months. Weighs approximately 5.5 ounces and comes beautifully packaged. It is scented with a light fragrance of fresh honey and sweet almonds. Soap topping is supposed to resemble a honeycomb. Ready for your gift-giving!